King Henry VIII School (KHVIII) has been around for a very long time. It was established and named after one of England’s most well-known monarchs in 1545, two years before he died. The Independent School, based in Coventry, has been playing rugby for a very long time too: more than 100 years (the game was invented at close-by Rugby School in 1823). 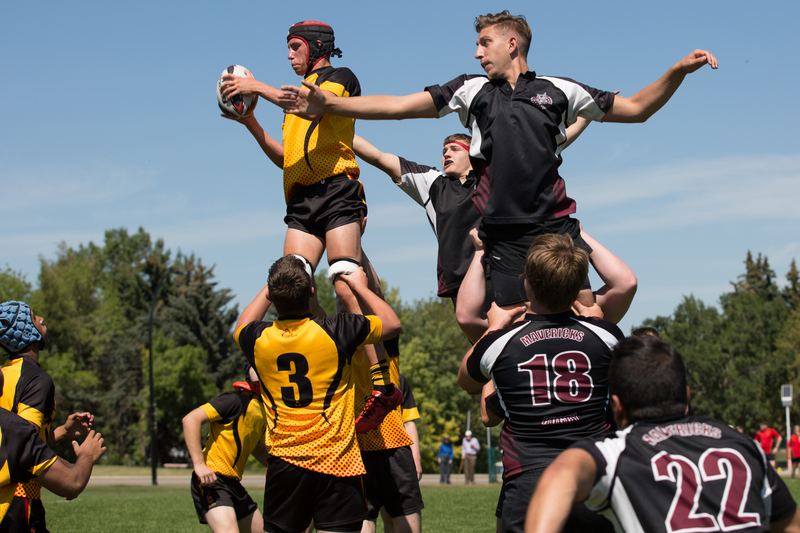 Every couple of years, teachers and supporters of the school organize a rugby tour. In the past they have made visits to Australia, Zimbabwe, South Africa and Chile. In August 2015 they were in western Canada, playing games in Alberta (Calgary, Edmonton) and BC (Kamloops, Victoria, Vancouver) as well as a trip over the border to Bellingham, WA. 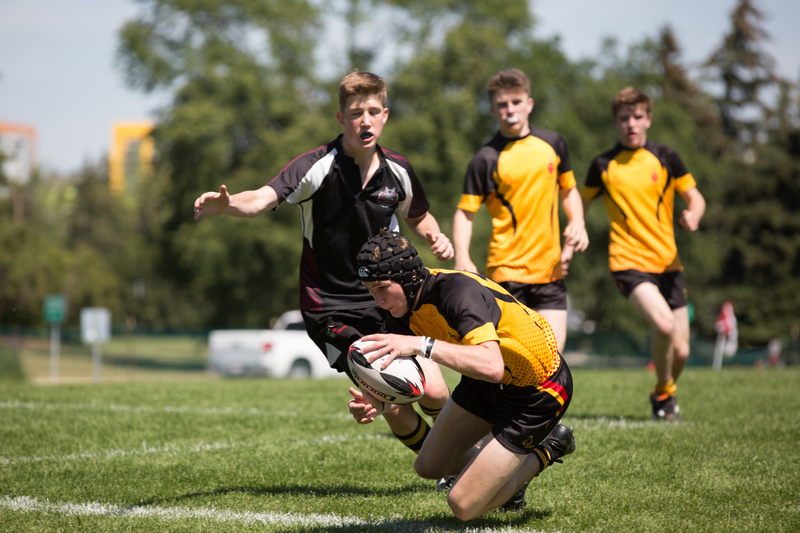 Saturday’s first game was against the Calgary Mavericks, a selection of U18 players from local clubs such as The Canucks, Hornets and Saracens. KHVIII ran in six tries to two in this well-played, open game. Final score: 38-14.